PLEASE NOTE - TOMMY & GREG WILL BE TAKING TO THE STAGE AT THE FILMS ADVERTISED TIME! Please arrive 30 mins early to collect your ticket, take your seat, grab merch and meet the guys before the film starts! Yes we know the shows are allocated seating, but if you all arrive at the advertised time we end up with a very busy foyer / bar & you won't get to your seat when the q&a starts! Tommy Wiseau & Greg Sestero return to The Prince Charles Cinema, live and in person, in September 2019 to once again answer your questions, pose for photos*, sign autographs** and introduce a host of screenings of the 2003 "masterpiece", THE ROOM! So what are you waiting for? 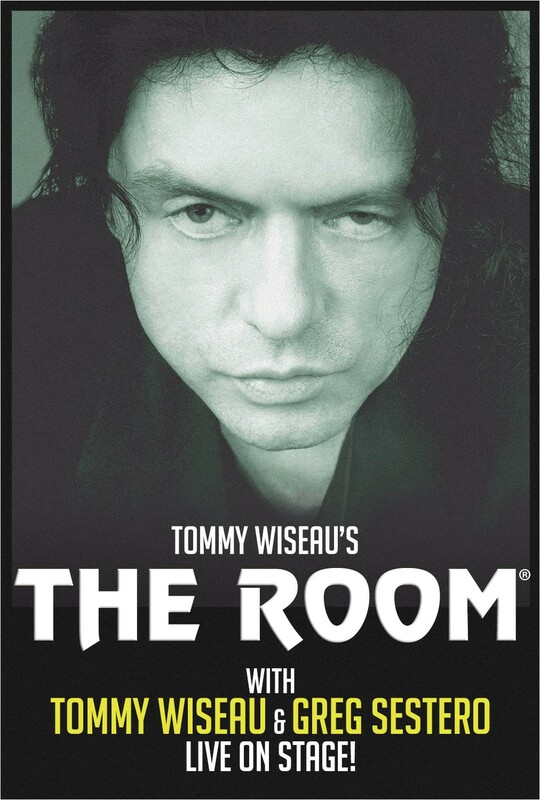 Get your handful of PLASTIC spoons***, your tuxedos at the ready and prepare to take part in the most "unique" cinematic experience on the planet... Tommy Wiseau's, THE ROOM! ** - Same applies for photo opps as it does for signatures, pick up some merch to put a smile on Tommy's face for your photo together. *** - No Metal Spoons, No Inflatables, No American Footballs!!! If found throwing any of these, they will be confiscated and you will be asked to leave with no refund. Please consider the environment and don't go overboard with plastic spoons. A handful is all you need to get you through the screening. If any customers are found bringing in an overabundance of plastic spoons, we will confiscate them and give you what we deem to be an appropriate amount for the evening.